It comes one day after Rep. Ilhan Omar (D-Minn.) spoke at the CAIR Greater Los Angeles’ fourth annual Valley Banquet. Rep. Ilhan Omar (D-Minn.). Credit: Leopaltik1242/Wikimedia Commons. (March 24, 2019 / JNS) Rep. Ilhan Omar (D-Minn.), as part of a series of addressing fundraisers for groups that promote Islamic extremism, is scheduled to appear at a fundraiser on Sunday for a political action committee affiliated with the Council on American Islamic Relations (CAIR). 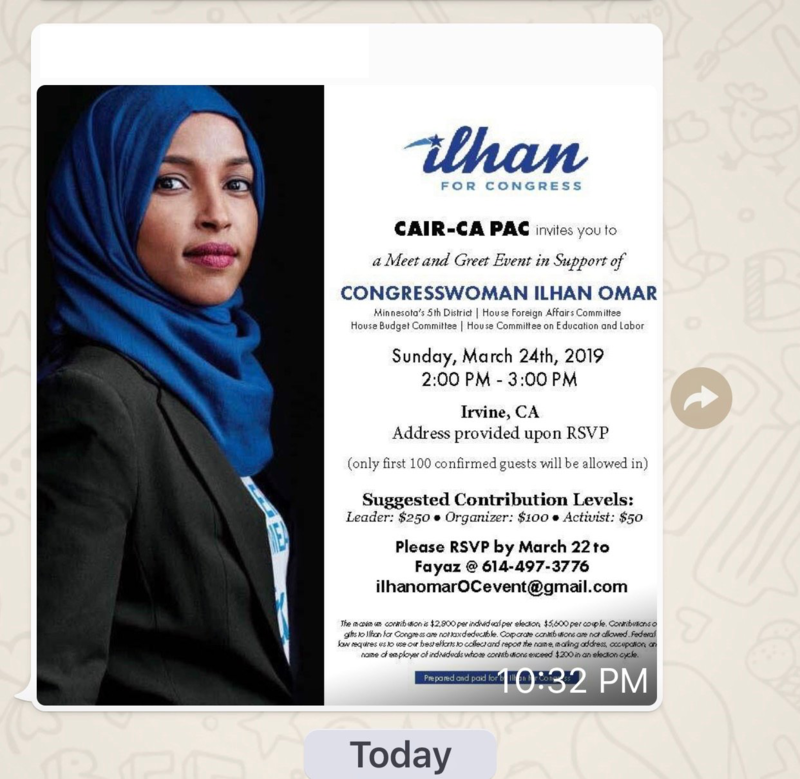 The private event in California is hosted by CAIR-CA PAC and will only allow the first 100 confirmed guests to attend, according to a screenshot of the meet-and-greet invite acquired by The Washington Free Beacon. 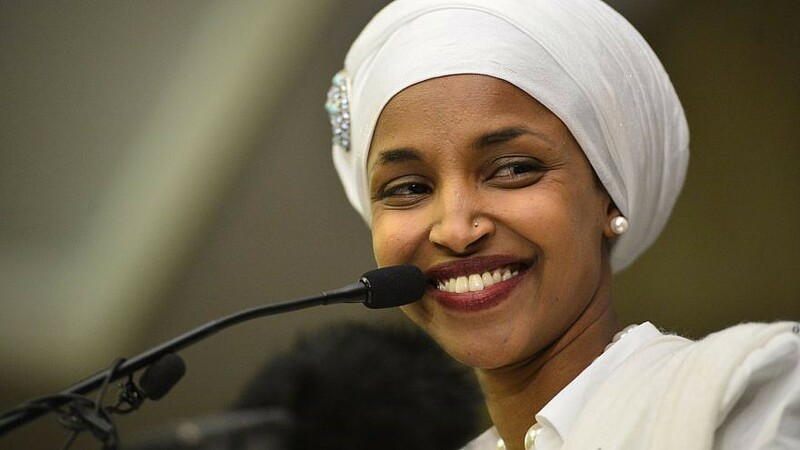 Omar’s address on Sunday comes as the American Israel Public Affairs Committee kicks off its annual three-day policy conference in Washington, D.C.
Last month, Omar accused the largest pro-Israel lobbying organization of paying members of Congress to back Israel.